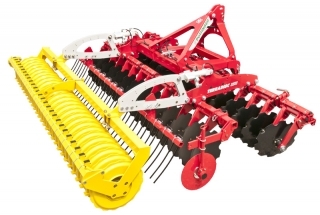 With this new carrier arm system two serrated concave discs are mounted on a wide clamping bracket. 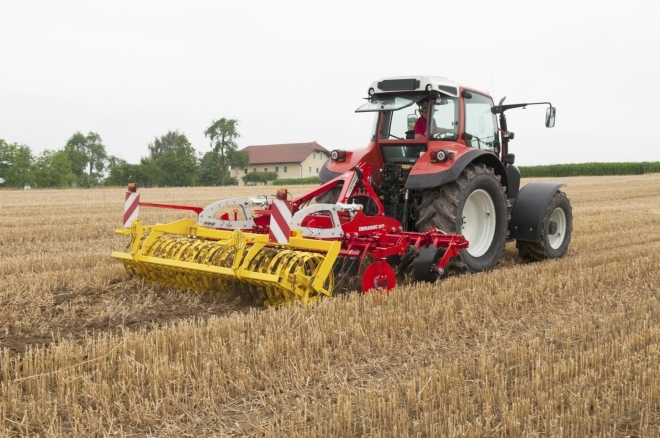 This ensures that the discs always retain their position and angle. 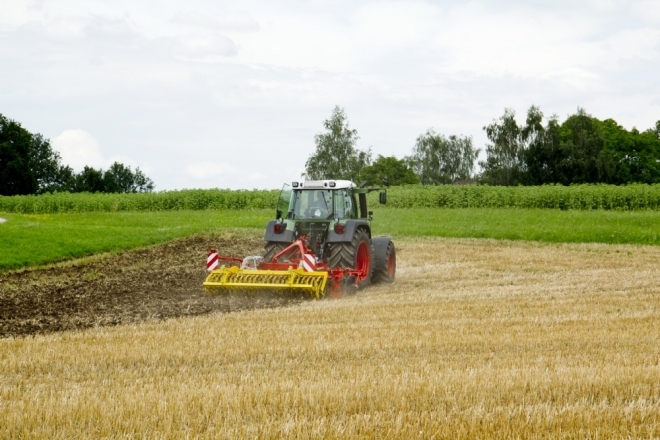 Even in heavy soil it is impossible for them to deviate to the side – hard tyre tracks are broken up reliably. Four rubber elements in the mounting bracket provide overload protection on contact with rocks. The generously dimensioned discs have a diameter of 22.83" / 580 mm. 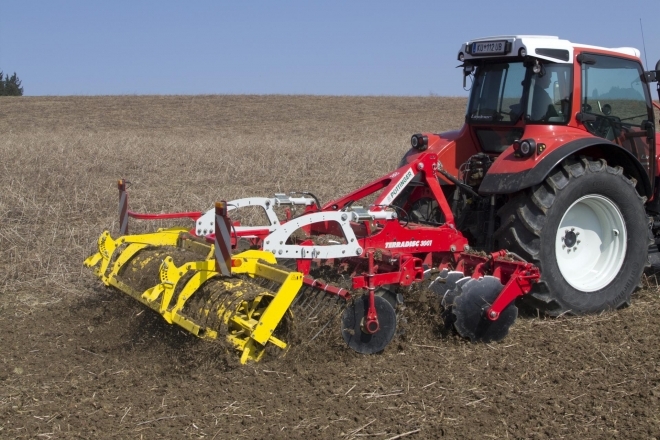 Eight discs per metre of working width equate to a spacing of just 0.49" / 125 mm. 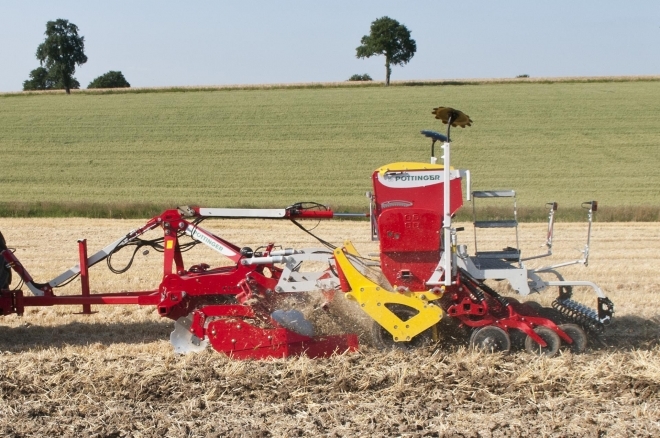 The optimised interplay of ground penetration angle and mounting angle ensure perfect performance. 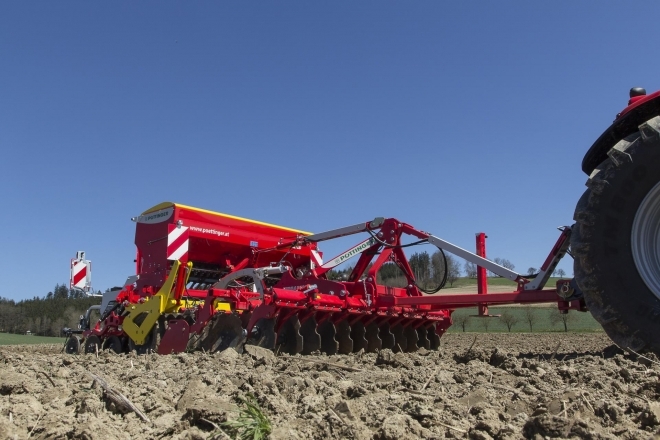 The offset configuration of the aggressive discs mixes the harvest residues eff ectively into the soil. The wide clamp contact surface of the mountings keeps the discs in position – sideways movement is impossible. Proven over many years in the field, the trip protection features 1.57" / 40 mm thick rubber elements. Two massive forged carrier arms are welded to each clamping bracket. The bearings are fitted to the disc carrier arm by a stub axle. The nuts are protected by caps mounted on the same axle bolt. 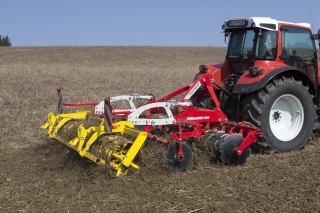 The sealed, twin-race angular contact bearings are maintenance-free. The rugged discs made of special heattreated steel have a diameter of 22.83" / 580 mm.. 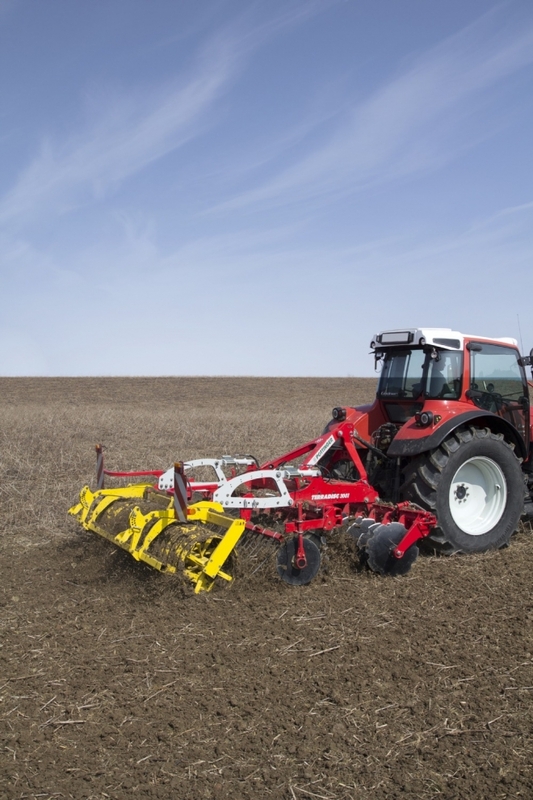 Tractors with up to 200 hp have a huge range of hitch geometries. 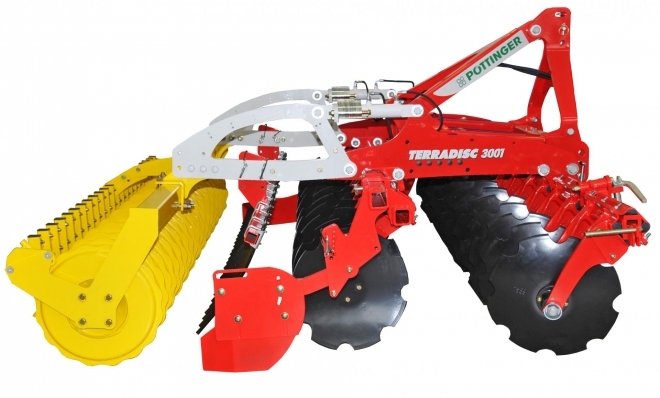 The mounting configurations offered by this implement ensure excellent ground penetration and sufficient lifting height. 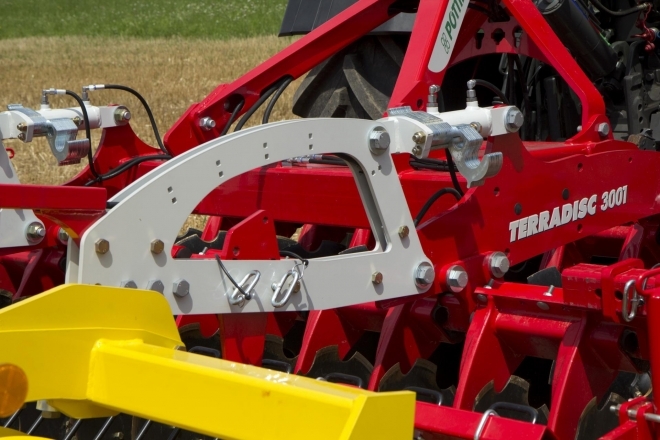 The compact frame is a trademark of the mounted TERRADISC harrow. 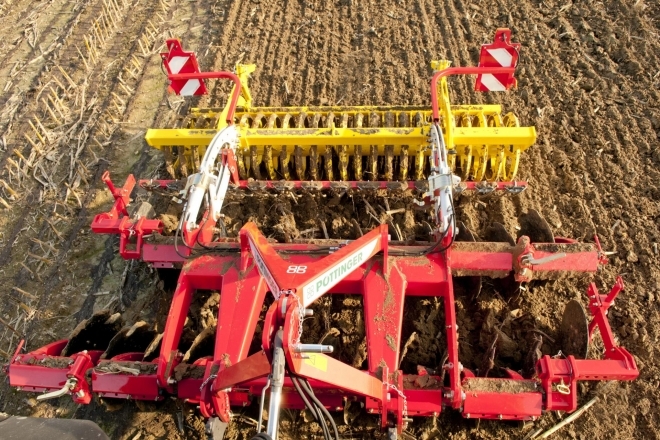 The first gang of discs is very close to the tractor – ideal for a very favourable centre of gravity. 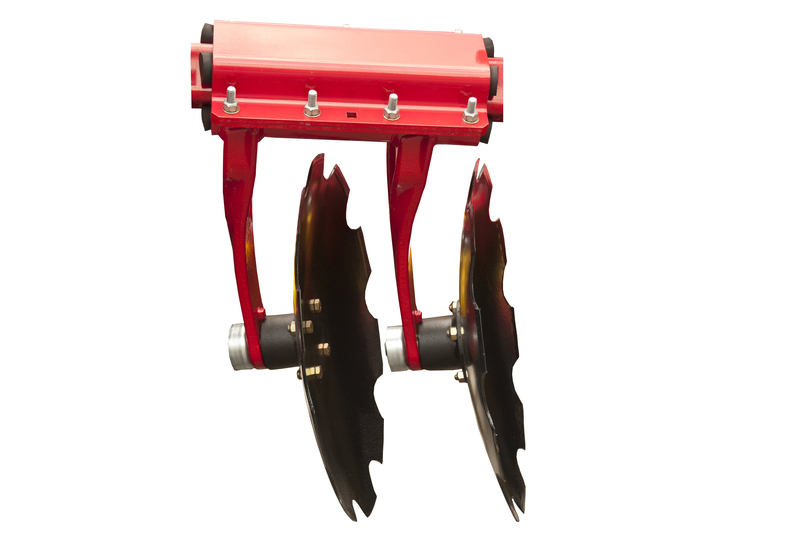 Three lower linkage heights with Cat 2 / width 2 clevis-type mounting lugs. Two positions are possible for headstock angle. Two positions are possible for the headstock angle and with three top linkage positions you have optimum adjustment to fit any tractor. 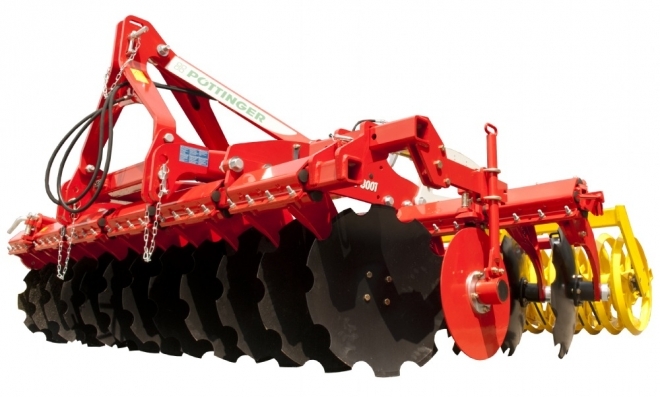 The uppermost top linkage hole is slotted for very uneven ground.